The latest from Evans (Stanley, California, 2003, etc.) 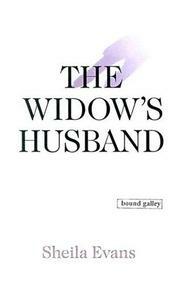 begins as the exciting tale of a 50ish widow who uncovers the secret life of her dead husband—then peters out into tedium. After his sudden death (by heart attack), Peg Malone discovers some incongruities among her husband Emmett’s personal effects, like a travel brochure to Ireland and a folder of poetry. Then, at his wake, when she notices a strange younger woman with red-dyed hair, emerald eyes, and earrings exactly like the ones Emmett had bought their grown daughter, Amy, in Mexico, the riddle of her husband’s irritability and restlessness over the two preceding years is suddenly solved. Peg has been a dutiful wife, if admittedly passive, working at temp jobs rather than pursuing a career and allowing her husband, the head of a shipping department for a furniture manufacturer, to manage finances and most everything else. “He’d been a good man, a wonderful man,” Peg insists, yet how to account for his recent liquidating of all their savings, including the insurance benefits intended to protect her? Peg pursues the mystery only so far as to discover that Emmett had bought a condo at Singing Waters and a fancy red sports car, both, apparently, now possessions of the Irish woman with the dyed hair. Yet here the novel changes tack: instead of getting at the heart of the scandal of her marriage, as an avenging woman who has denied herself for 25 years would surely do, Peg is allowed a personal transformation, from dowdy afternoon TV watcher to slim workingwoman who catches men’s eyes at bars. Where is the poetic justice here, the outrage, the retribution? Where is the self regained? Peg’s resignation—at having to work at a less-than-inspiring job; at seeing her daughter pair with inferior men; and at learning to make friends with neighbors she used to think repugnant—looks a lot like the same denial of her sad marriage. A novel that lets us down.